How did the rest of the rookie receivers fare last season? What is in store in the future? Throughout the season, the Rookie Report Card has covered some of the biggest rookies and not only looked at their performance to date – but also their long term upside. Now that the regular season has wrapped up and fantasy owners are looking towards the future, we have an opportunity to take one last look at the 2018 season and assess these rookies – A final report card if you will. We covered 34 rookies throughout the season, including 12 wide receivers, and gave final grades on eight of those receivers last week. Let’s look one more look at the rest of those pass catchers’ first season, as well as a quick glimpse into their futures. Although his numbers might not suggest he had a great rookie season, anybody who watched Miller play in 2018 would be hard pressed to not come away fascinated with his upside. He was as advertised as a slot weapon, running lightning-quick short to intermediate routes and displaying an aptitude for finding space against zone coverage – particularly in the red zone. Miller’s second-half numbers dipped off following a 5-122-1 performance against the Lions in week 12, which is a concern, and the Bears’ offense spreads the ball out as well as any in the league so dynasty owners shouldn’t be convinced Miller will take an enormous leap forward in 2019. With that said however, Miller going forward should be one of the main weapons in a Matt Nagy offense that was impressive in 2018. I think your grades here are a little too easy on these guys.. Specifically Tre’Quan, MVS, and Washington… None of them did much of anything noteworthy in year 1. And I would say long-term upside is muddied at best. Right now, if you are calling them anything more than fliers heading into draft season, that’s extremely risky in my book. 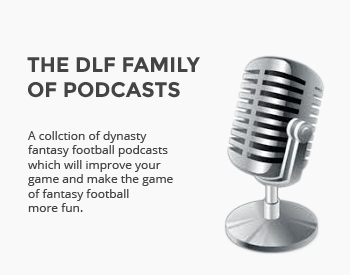 Well, this is dynasty league football, so all those guys are already owned. No one will be drafting them.